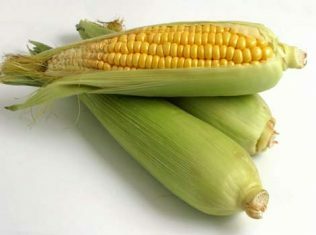 sweetcorn is best if there is as little time as possible between picking and eating. Best eaten on a BBQ on the plot, but if not, refrain from picking until you are leaving and throw them in some water as soon as you get home. Sweetcorn will freeze well. Get a big pan boiling fiercely, chuck in some cobs, boil for about 7 mins, then take out and run under cold water, then put into an icy water bath (I put freezer blocks in a pan of water to cool it down). When totally cooled, dry off completely and freeze in bags or clingfilm.